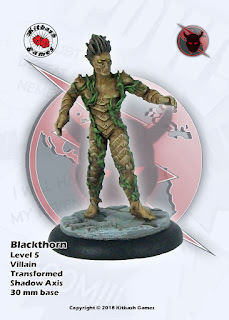 Blackthorn is another Villain in the Shadow Axis ranks, but one who secretly serves a twisted and dangerous agenda rather than simply the accumulation of wealth and power. 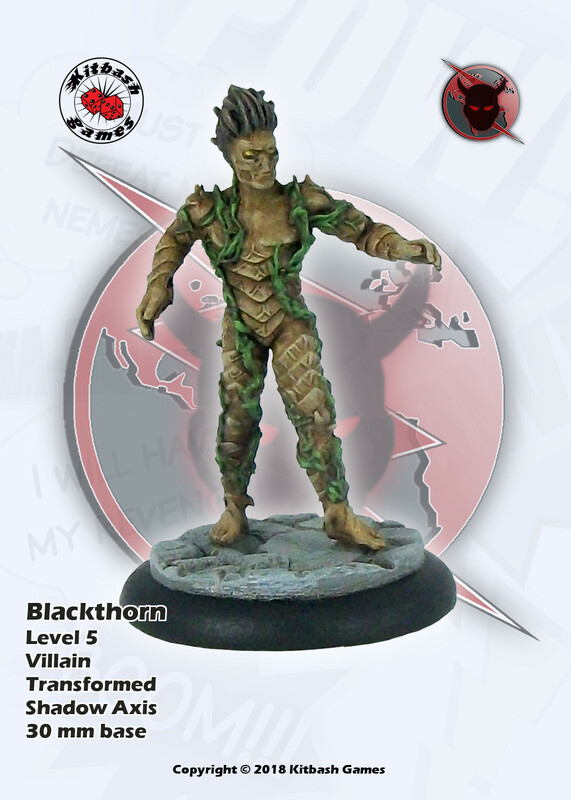 Blackthorn will be joining Big Brain and other as Villains available in the Supers Unlimited launch later this year. Another terrific model, these villain models you're showing off are all real eye-catchers. I like the paintjob too, it's like he's somewhere in between the Swampthing and Poison Ivy. Zenith Comics Presents: The Blog! A small update, but hey, an update!